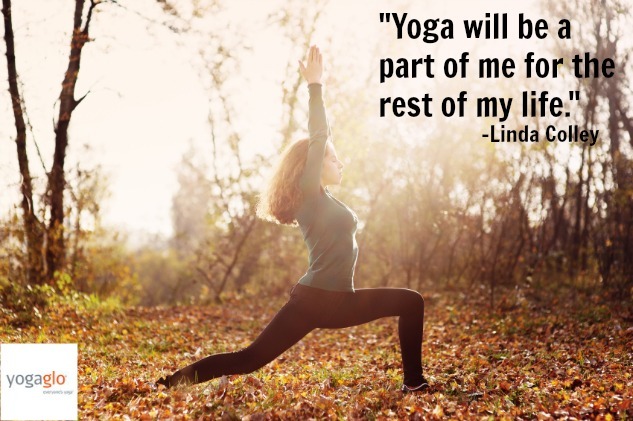 This week’s Yoga Moment comes from Linda Colley during her practice at home. “I am self-taught and I practice yoga 4 times a week. When I found yoga, I was in a bad place in my life. I was coming out of a bad relationship, I was a smoker and my diet wasn’t as healthy as it could have been. I needed a major change. I went out and purchased a book about yoga and picked out a few poses and started practicing them. Learning the power of my breath was everything to me. It slowed me down long enough to make small, positive, changes. Slowly, I managed to quit smoking and started to incorporate more fruits and vegetables into my diet. As a result of my daily veggie intake, I eventually became vegan. In addition to my practice, I also started running. I am 53 years old and I run 30 minutes every morning and I now help other do the same.